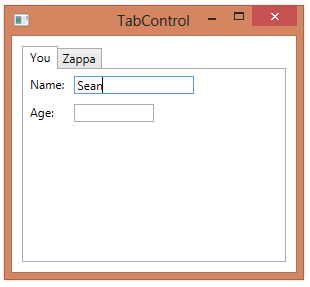 You can use a TabControl to organize content in your application into a series of pages, allowing the user to click on the page that contains the content that they want to see. 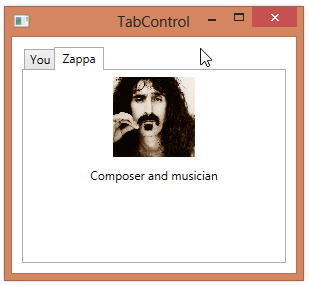 The TabControl contains a series of TabItem elements representing each tab. Each TabItem has a Header property defining text or content to appear on the clickable part of the tab. Each TabItem also has a single child element, representing the content to be displayed when you are viewing the tab. This will normally be a panel that contains other controls. <TextBox Grid.Row="1" Grid.Column="1" Width="80" Margin="5"